Your eyes are among the most complex organs in your body, so routine exams are a critical part of staying healthy. The optometrists and ophthalmologists at Rocky Mountain Eye Center offer comprehensive eye exams at their four locations in Missoula, Hamilton, and Butte, Montana. To schedule your comprehensive eye exam, call or book an appointment online today. A comprehensive eye exam involves more than just a vision screening to determine whether you need glasses. 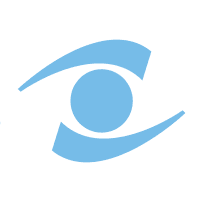 The comprehensive eye care specialists at Rocky Mountain Eye Center use a variety of tests and procedures to evaluate all aspects of your vision. They also check for signs of diseases, such as glaucoma, that may not cause symptoms in their early stages. Many eye problems that lead to vision loss don’t cause obvious signs or symptoms, but a comprehensive exam helps you prevent vision loss with early diagnosis and treatment. What Tests Might I Need During a Comprehensive Eye Exam? A comprehensive eye exam may include an array of tests that range from simple, such as reading an eye chart, to complex, like using a high-power lens to inspect the miniature structures of your eye. Different eye problems affect different parts of your vision. For example, macular degeneration affects your central vision, while glaucoma reduces your peripheral vision. What Should I Expect From a Comprehensive Eye Exam? First, your eye care specialist at Rocky Mountain Eye Center carefully reviews your medical history. They ask about your overall health and any vision problems you’re having. They also review eye and health conditions you or your family members may have experienced in the past. Then, they begin your comprehensive eye exam with preliminary tests, including evaluations of your eye movements and depth perception. They may take more complex tests based on problems they find. To take the first step toward preventing vision loss, call Rocky Mountain Eye Center or schedule your comprehensive eye exam online today.